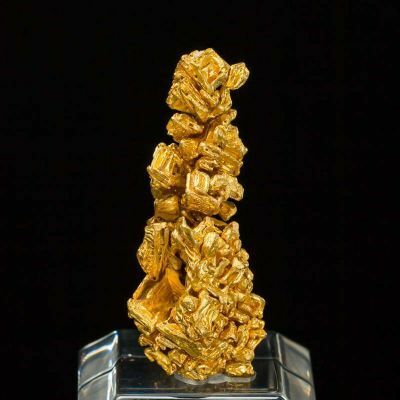 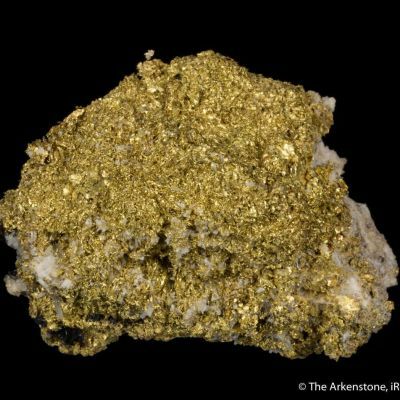 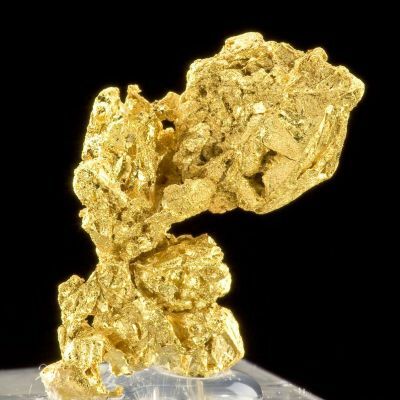 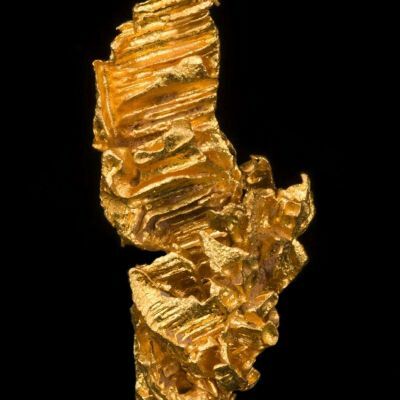 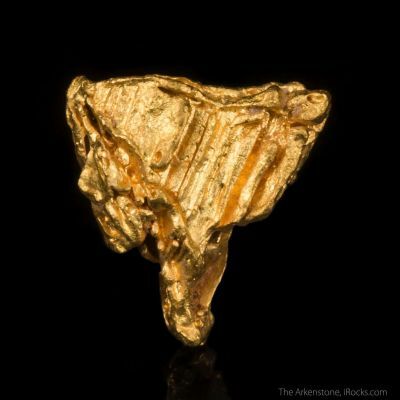 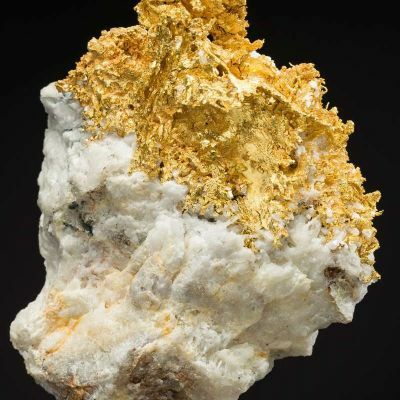 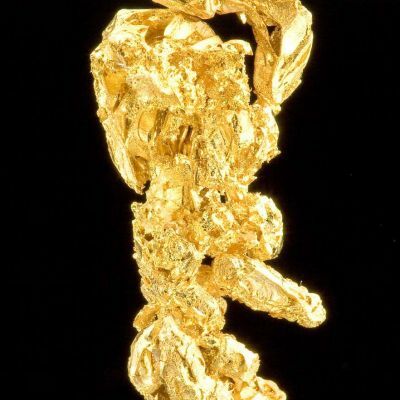 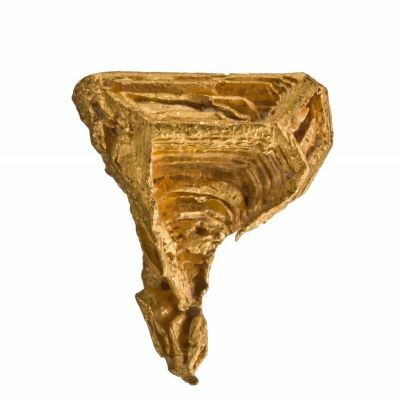 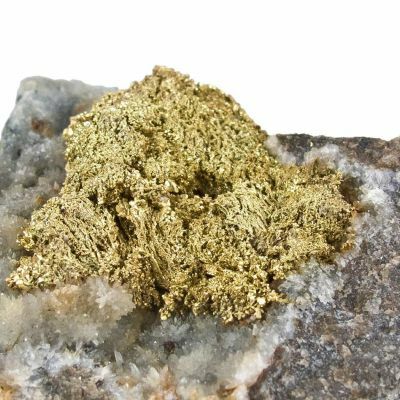 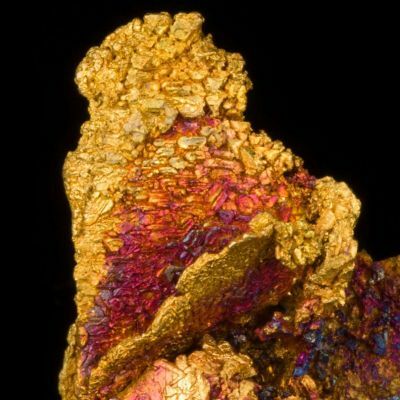 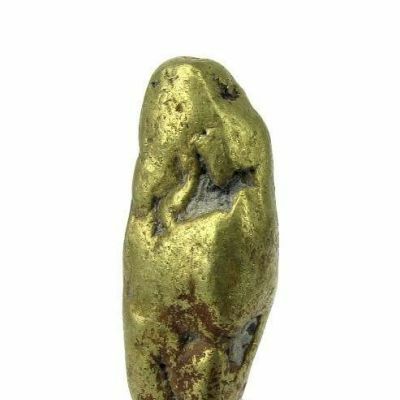 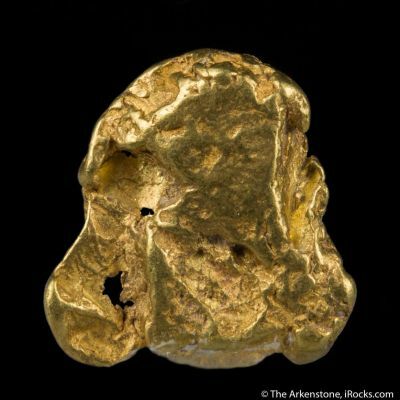 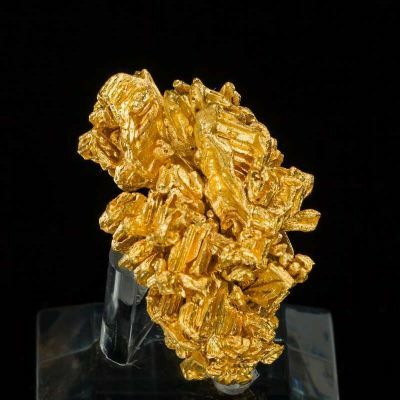 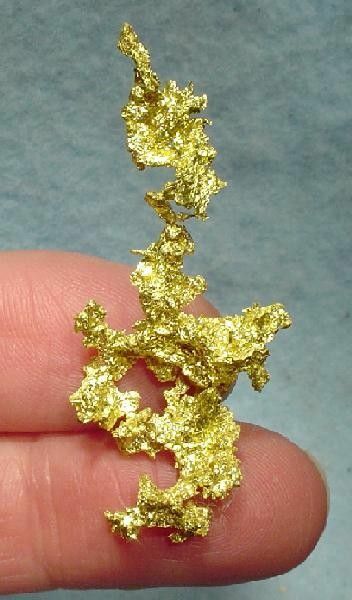 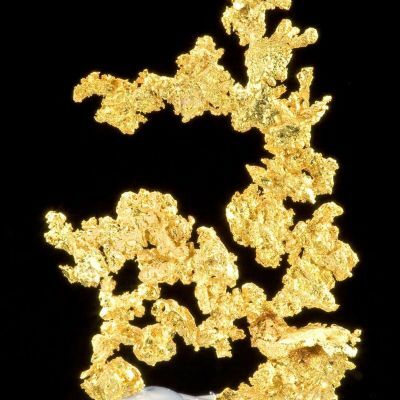 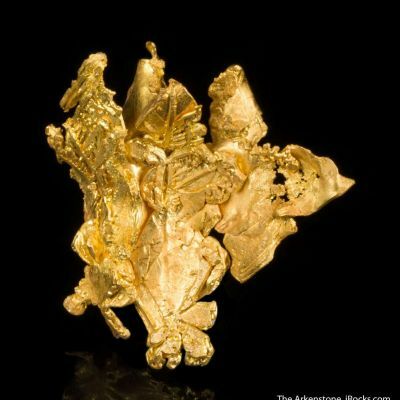 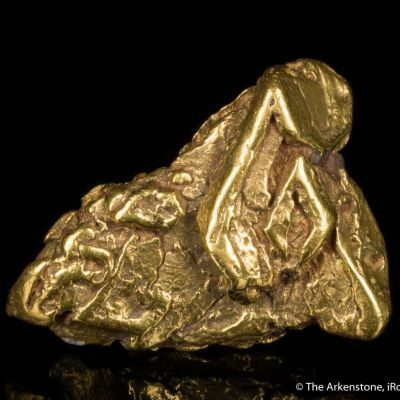 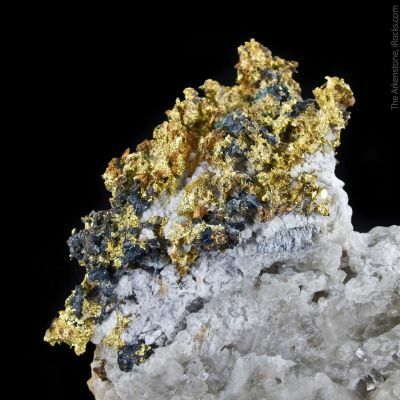 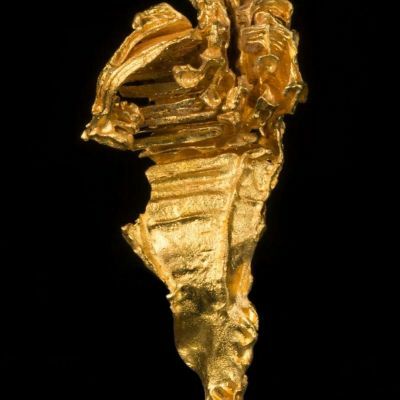 A beautifully sculptural and bright golden microcrystalline and spinel-twinned gold specimen from the 2006 find at the very famous Mockingbird Mine of California. 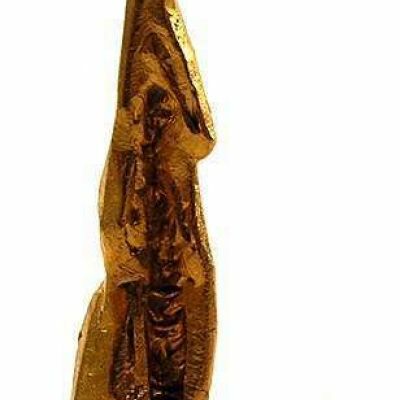 The spearpoint spinel-twins at the termination add to the aesthetics of this very well-formed piece. 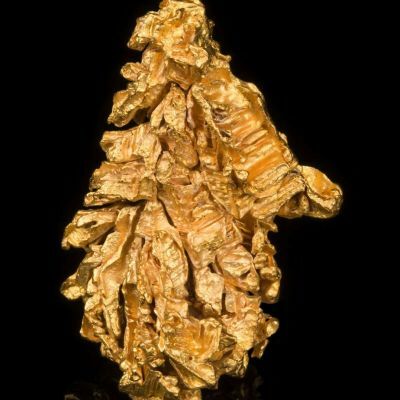 10 grams.